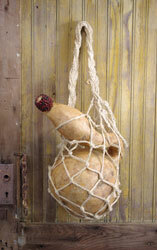 "Creating Bottles with Gourds and Fiber"
Gourd and fiber containers have been essential for human migration and commerce for thousands of years. 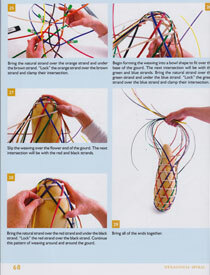 This new DIY book takes a step back in time to show you how different forms of fiber have been used to tie a loop around the neck or waist of a gourd or to weave an intricate basket structure to hold the handle. With more than 350 color images and step-by-step instructions, seven projects are basked on water containers from around the world. Learn the secret to correctly tying the cord around a Japanese Sake bottle. Recreate the cycloid weave, woven exclusively by the Dyak people of Borneo. 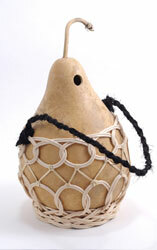 The footed cycloid weave also makes a perfect stand for your gourd art. 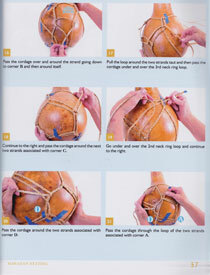 Not only will you learn how to weave a Rinko start, you also weave some bias plaiting, hexagonal plaiting, plain weaving, twill weaving and complete the project with a traditional bamboo footed technique, rarely illustrated in basketry books. This traditional Hawaiian netting pattern has never been illustrated correctly or in a form that could easily be followed. Individually colored weaving elements help with demonstrating the weaving pattern along with arrows and labels when necessary to highlight the step. 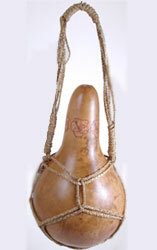 The Camerooon Palm Wine Gourd is embellished with a knitted stitch. These complicated steps are made easy with clear step-by-step illustrations and detailed labeling and explanations to insure success. 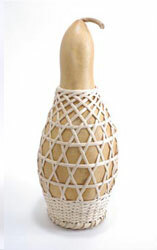 Much attention is also shown to the beautifully woven support ring and handle at the neck of the bottle. 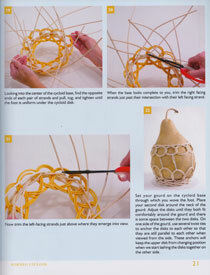 This book is a must for gourd and fiber artists. 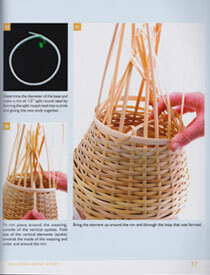 Even technically advanced basketmakers will find techniques that will be new for them. "Very nice book. Good projects that are well presented. 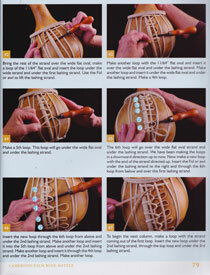 LOTS of pictures of each step of the techniques used. Definitely worth the money. And quick delivery." "Like all of Jim's other books, this one is well written and heavily illustrated with color photographs. 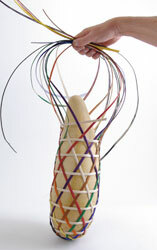 The book includes 7 projects, all of which show ways of weaving or knotting to create decorative and functional fiber covered gourd containers. All of the projects are inspired by actual gourd vessels from around the world, and use a variety of materials from cordings to reeds and bark. Some of the projects are relatively easy, while others are very complicated. 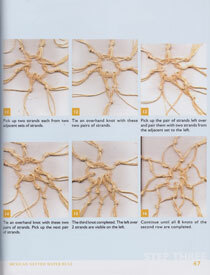 If you are good at weaving techniques, then you will enjoy the challenge of trying some of the more complicated designs. Beginners will be intimidated at first glance, but each project has many photos showing each step along the way. *You must be comfortable following written/photographic instructions! 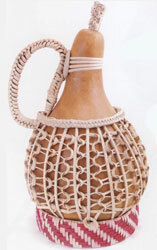 There is a nice gallery section at the back showing additional woven gourd containers." "The focus of this book is limited. 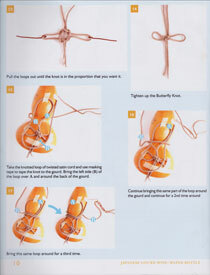 If you are looking for a more general gourd book, then try this author's The Complete Book of Gourd Crafts instead."